This year’s Yulin dog meat festival in China’s Guangxi region has begun, amid uproar on the part of animal rights activists. About 10,000 dogs are said to be cooked at Yulin Summer Solstice Lychee and Dog Meat Festival on June 21 and June 22 to mark the summer start, state media said. Celebrities have spoken out on Twitter with the hashtag #StopYuLin2015. Chinese pop star Chen Kun and actor Yang Mi have said they are joining the campaign on micro blogging site Weibo. Chinese actor Fan Bingbing and others posted a video online against the festival. Yulin officials have distanced themselves from the gathering. “Some residents of Yulin have the habit of coming together to eat lychees and dog meat during the summer solstice,” the city’s news office wrote on Weibo. “The <<summer solstice lychee and dog meat festival>> is a commercial term, the city has never [officially] organized a <<dog meat festival>>,” it added. 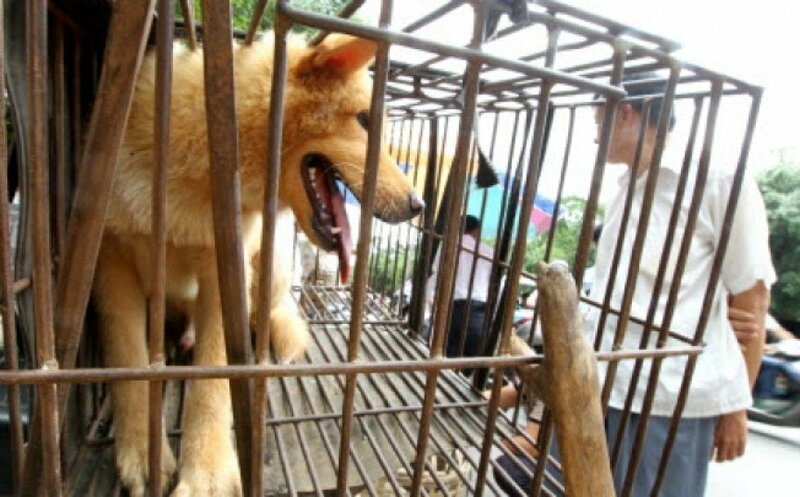 Yang Xiaoyun, the retired school teacher, paid about 7,000 yuan ($1,100) to save 100 dogs on June 20. Eating dog meat is legal in China, but canines are supposed to be raised on farms and certified for human consumption before they are sold.